CAPE CANAVERAL — NASA says initial checks show no damage to the Atlas 5 rocket or the agency’s asteroid-bound OSIRIS-REx spacecraft that stood within the Vertical Integration Facility just a mile away from the SpaceX explosion Thursday. The United Launch Alliance vehicle is stacked in its assembly building aboard a mobile platform awaiting rollout to the Complex 41 pad next Wednesday. Liftoff is scheduled for next Thursday evening on a trek to Asteroid Bennu. “The launch for NASA’s OSIRIS-REx mission remains on track for Sept. 8,” a Kennedy Space Center spokesman said. 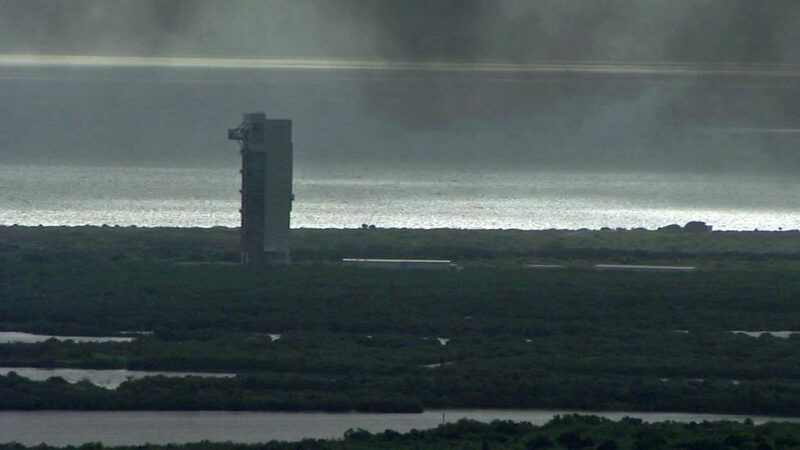 Black smoke hangs in the air at the Atlas 5 rocket’s assembly building Thursday morning. As SpaceX was fueling the Falcon 9 rocket at neighboring Complex 40 for its hot-fire engine test just after 9 a.m. Thursday, an explosion erupted from the upper stage and destroyed the vehicle. Also lost was the commercial satellite the Falcon was supposed to launch this weekend. 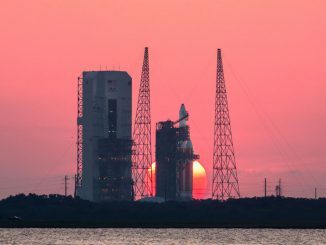 Meanwhile, NASA, ULA, Lockheed Martin and University of Arizona officials managing OSIRIS-REx held the Flight Readiness Review on Thursday to affirm the status of work to proceed with the scheduled launch date. “Launch and mission officials gathered this morning for the OSIRIS-REx Flight Readiness Review and concluded that there are no issues or concerns that would preclude continuing to target launch next Thursday, Sept. 8,” a NASA spokesman said. Also Thursday, the spacecraft test team completed functional testing of OSIRIS-REx with no issues. “Next time we power on the spacecraft will be for launch!” the OSIRIS-REx mission leader, Dante Lauretta, tweeted Thursday evening. 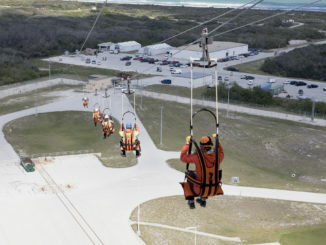 The Mission Dress Rehearsal will occur tomorrow for the combined teams to practice the countdown, a “real-time launch simulation with all hands on deck,” Lauretta said. 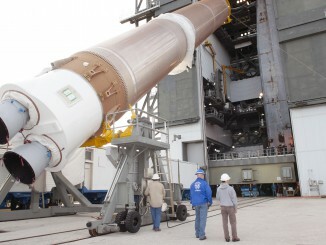 Liftoff next Thursday is scheduled during a two-hour window opening at 7:05 p.m. EDT (2305 GMT). 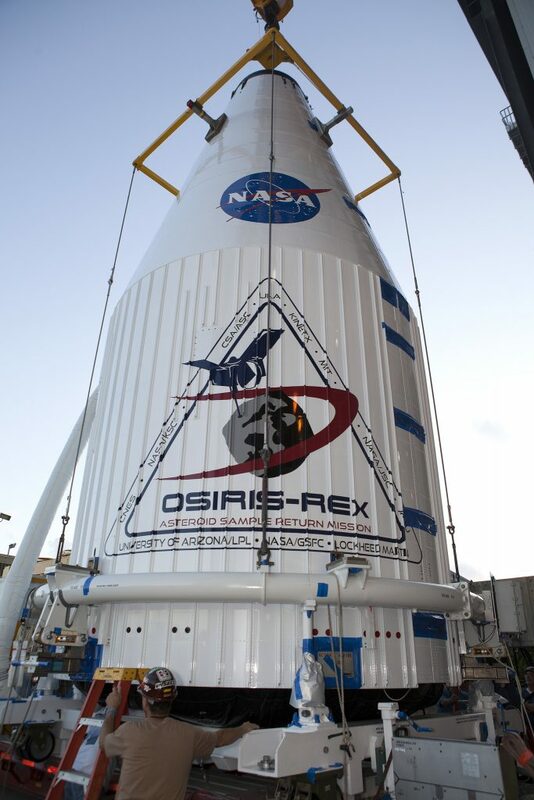 OSIRIS-REx is a 7-year, round trip flight to Asteroid Bennu. The craft will use a robotic arm to grab a sample of pristine material from the mountain-size world and bring it back to Earth for analysis, landing in Utah on Sept. 24, 2023.